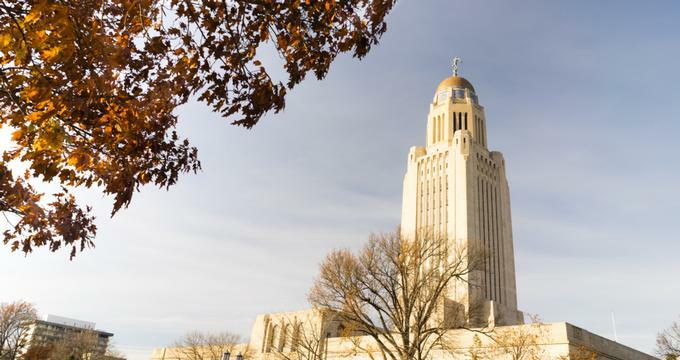 Choosing to get married in Nebraska gives you the chance to select from a wide range of venues. Brides who have dreamed of an outdoor wedding surrounded by the woods, flowers, or in front of a gorgeous fountain can have their wishes come true. Alternatively, you can get married in a historical building, a high-class hotel, or a cozy inn that has romantic accommodations for your first night as husband and wife. With so many wedding venues in Nebraska, you are sure to find the ideal location for your special day, whether you prefer an intimate ceremony, a gala with all your friends, or something in between. Historic Joslyn Castle will gladly host weddings in an unforgettable venue that makes the bride feel like a princess. The castle has 5.57 acres of land, including a historical building and perfectly landscaped grounds. Take photos in front of majestic trees, the two ponds that form a figure eight with a footbridge, the seasonal flower beds, and more. The team at Joslyn Castle works with brides to create their ideal wedding after outlining all the possibilities. 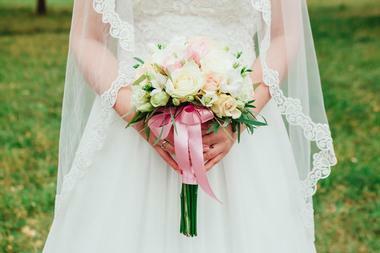 Because of the vast space and range of options available, there are choices for all wedding budgets. You can have the ceremony and reception on site, even in completely different areas of the property. 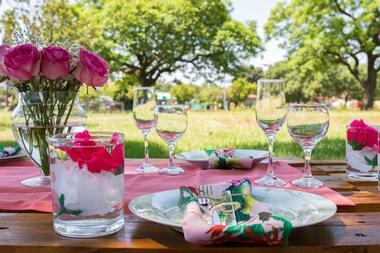 Bellevue Berry Farm and Pumpkin Ranch is a great choice for weddings in one of their five lodges. 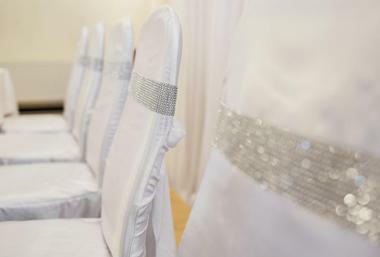 The lodges can seat between 25 and 400 guests, allowing for weddings of all sizes. The farm specializes in catered parties, so you get a delicious all-you-can-eat meal with drinks such as ice tea, lemonade, coffee, tea, and water throughout the party. You can also add on mixers, juices, and sodas, and they can provide alcohol. If you want to get married at the farm as well, there are four gorgeous ceremony sites to choose from and you can also have your rehearsal dinner on site. Country Pines delivers a gorgeous venue with views of the property’s vineyard and country landscape. There are 80 acres of land for photos, the ceremony, and the reception, yet the property is just minutes from downtown. The barn features an outdoor deck with room for 275 and full coverings from the sun and rain, or you can enjoy the interior of the bar with its newly installed wood flooring. To enhance your wedding, you can also opt for additional pieces like barn doors, a side board cake table, shepherd’s hooks, tree slices, a chalkboard, mason jars, and a horse trough. The venue also provides catering. 10 Below is the largest space for events at Barry’s Bar & Grill and it includes the Outback and the Ice Bar rooms. You can rent both for your larger wedding and open up the sliding barn doors separating them. With the full venue, you can accommodate 350 standing guests, and this includes ten folding tables plus eight granite cocktail tables. This is the location for exciting weddings with options like a DJ booth, LED dance floor, beer pong tables, and corn hole games. The Outback has a full bar with space for four bartenders and is ideal for 50 to 60 guests for a catered meal. The Ice Bar is more casual, with TVs and leather couches plus space for 40 to 90 guests seated. A View in Fontenelle Hills is a premier wedding venue with floor-to-ceiling windows that let you and your guests enjoy the outdoors while staying in a climate-controlled environment. The windows show off trees lining the horizon for the perfect backdrop. Have an outdoor cocktail hour at the pool area or use the 1,800-square-foot deck with views of the manicured golf course. To ensure a stress-free day, rental includes guest tables with linens, Chiavari chairs, Edison lighting, a china package for the dinner buffet, chair sashes in your choice of over 50 colors, LED uplights, private lounges, a catering prep area, and high-speed internet. A View West delivers a contemporary, modern space with a hint of elegance and a convenient location within Northwest Omaha. Make use of the courtyard area and private patio for your cocktail hour or even an outdoor ceremony in the shade of the trees. The interior space includes a 30-foot atrium, huge windows, elegant lighting, a large dance floor, and Chiavari chairs. All weddings at this venue include an event coordination for the day of the event, china for the buffet, chairs, tables, linens, a high-definition projector with a portable down screen, and an outdoor patio featuring custom furniture. All part of Haymarket Square, there are three event venues to choose from, including the North Apothecary Loft, the South Apothecary Loft, and the Ridnour Room. These have 3,300, 2,700, and 7,000 square feet, respectively, allowing for weddings of all sizes. To make your day even better, these venues can come with packages that include things such as the rehearsal dinner, a sleepover/bachelorette party, pre-wedding brunch, accommodations for the bride and groom on the night of the wedding, and more in addition to the ceremony and reception. The venues also give you complete control over food and beverage catering, allowing for excellent savings and personalization. Arbor Hall prides themselves on delivering stress-free weddings via all-inclusive packages and transparent pricing. They help with everything you need for your big day, from the amazing venue and the floral arrangements to the catering and the cakes. In addition to the interior space, there is a sunny garden with a floral arbor to set the mood and make for gorgeous photos. 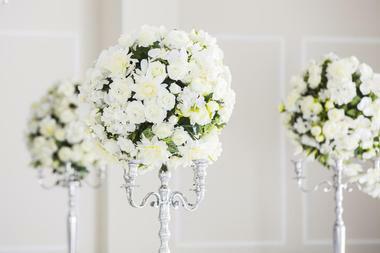 The elegant hall has chandeliers and the venue can set up the dance floor to be candle-lit. Every rental also includes tables, padded oak chairs, linens, cloth napkins, flatware, glassware, china, and your choice of house centerpiece. 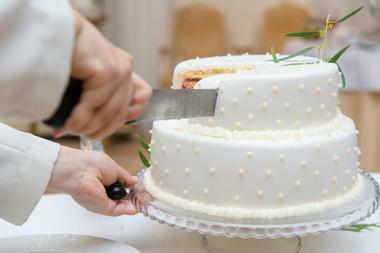 They can even provide custom dessert stations, handmade invitations, and an in-house DJ. Slattery Vintage Estates is the ideal location for a picture-perfect wedding you will not forget. The vineyard is at its most gorgeous between May and September, with grapes and foliage serving as a backdrop for photos. The vineyard typically hosts weddings between 100 and 150 guests but can accommodate up to 250. The property has 84 acres of land filled with rolling hills, making it perfect for a rustic wedding. Just some of the highlights of the property include fountains, ponds, gazebos, and waterfalls plus the vineyard itself. There is an on-site chef and beer, wine, and spirits are available. 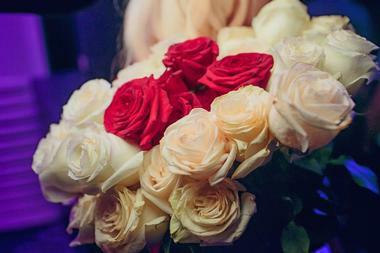 Il Palazzo is the only Italian-style venue in Omaha and is perfect for weddings. 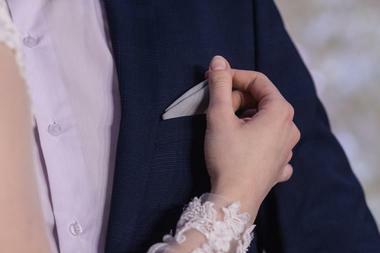 They offer all-inclusive planning, including visual and audio needs, the timeline, food, beverages, setting up and tearing down the ballroom, and more. There are multiple extravagant ballrooms to choose from, with options to fit up to 400 guests. The venue has experience hosting a wide range of weddings, including multicultural affairs, elegant settings, casual receptions, and everything in between. The food and service consistently get rave reviews and the space is highly versatile, allowing brides to take advantage of having exactly what they want for their big day. Lied Lodge and the Arbor Day Farm set an ideal backdrop for your special day, complete with an experienced team to ensure everything goes off without a hitch. 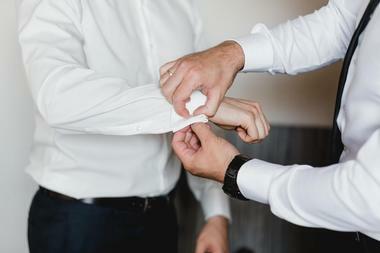 The on-site wedding manager can assist with special touches, such as unique menu concepts, in-room gift baskets for guests, signature drinks, and historical trolley rides. Lied Lodge allows for your choice of settings, from the rustic Steinhart Lodge and spacious ballrooms to outdoor historical barns or the Arbor Lodge with its regal beauty. You can also enjoy in-house catering choices, gift opening, personalized tree seedlings as wedding favors, and a hospitality suite. The Lincoln Firefighter’s Reception Hall has been hosting events since 2000 and can accommodate weddings with as many as 300 people seated. Enjoy modern conveniences along with affordable elegance. For convenience on the big day, you get to choose your own catering company and access the property’s commercial kitchen. 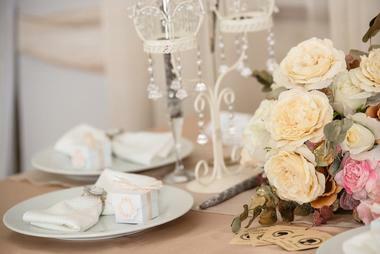 The rental includes a lighted backdrop for the cake and dessert table, centerpiece items, a host or cash beverage service, and dimmable lighting. 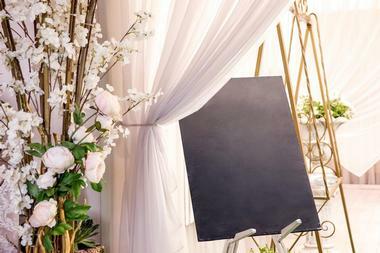 Those who want additional services on their big day can also enjoy extra decorations and a photo booth. The photo booth includes a CD with all the photos from the event and props to enhance the images. Lucile’s Old Market is a historic building with a unique character, perfect for that one-of-a-kind wedding. There is innovative architecture with intimate nooks, large spaces, and everything in between. The venue includes a foyer, the Grand Living Room, a dining room, and a courtyard. The foyer features 30-foot ceilings with skylights and a spectacular staircase that leads to the balcony and is perfect for photos. No matter which room or rooms you use for your wedding, you will celebrate in a building covered in history, such as stained-glass windows, historical doors, leaded windows, and ornate crown moldings. 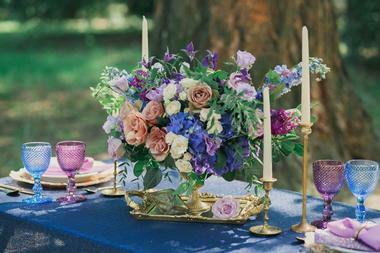 The eclectic mix of salvaged historical pieces creates a unique wedding site and unforgettable photos. The Orpheum Theater is just one of several event venues at the Omaha Performing Arts Center. This theater can accommodate 230 for dinner at round tables, or if you choose to have your ceremony in the space as well, there is space for 150. The rental fee includes set-up, tear-down, tables, chairs, and on-site event coordination. If you want, you can also add projectors and a screen to share your own videos as well as wireless internet, valet parking, a sound system, and help with linen rentals. If you prefer, there are also other venue choices from the Orpheum Theater and Holland Center, including the Scott Recital Hall with room for 300 seated at dinner, the Conagra East Lobby for 200, the First National Bank Lobby for 80, Zinc for 70, Mammel Courtyard for 400, or Ovations with space for 300 for a cocktail reception. The Pla Mor Ballroom has been part of the Lincoln community for more than 85 years, hosting concerts, dance classes, ballroom dancing, and events like weddings. This venue prides itself on transparent pricing without any hidden fees, and you get to choose your caterer and bartending service without any extra fees from the venue. The grand ballroom can hold between 150 and 700 guests and there is a dance floor of up to 4,000 square feet, perfect for brides and grooms who love to dance. 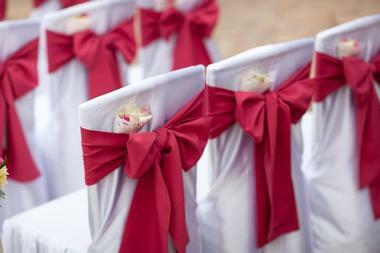 Prices always include set-up and tear-down of tables and chairs plus linens s well as the staff to help on your big day. 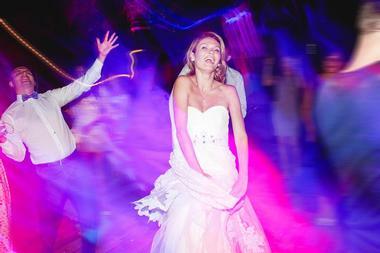 Simply Ballroom provides dance classes, but also gladly hosts events such as your wedding. 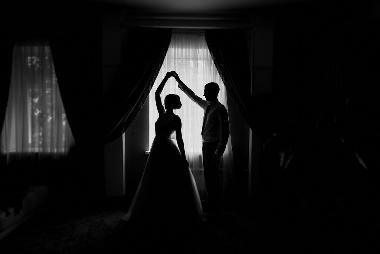 You can even take wedding dance classes with them ahead of time for the perfect first dance. 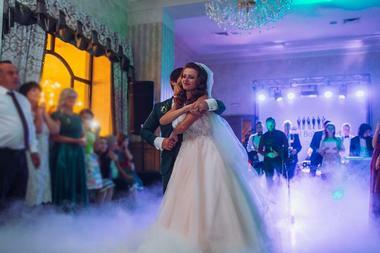 The specialists at the venue have choreographed hundreds of wedding dances. You can also rent the entire facility, including both ballrooms, without any extra fee for having the ceremony on site as long as your reception is there as well. The rental rate includes tables, chairs, linens, skirting, chair covers, centerpieces, white lights, lighted archways, backdrops, Roman column pillars, a photo slide show on big-screen TVs, security, and banquet staff. Soaring Wings Vineyard & Brewing can provide a gorgeous wedding venue for you and your guests. This business is family owned and operated, delivering personalized attention for planning and executing your special day. 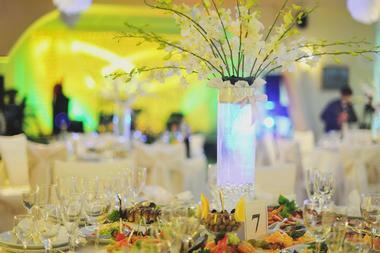 You can choose from the various packages for facility rentals, including great choices for weddings. You can fit up to 120 guests in the Platte View Room with views of the Platte River Valley, or even accommodate a whopping 2,500 guests with a full facility rental that includes the Platte View Room, decks, lawn, tasting room, outdoor amphitheater, and gazebo. 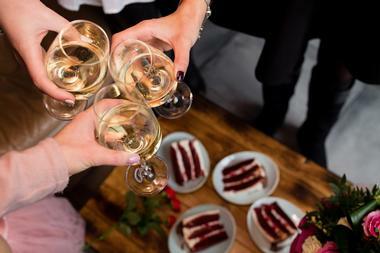 Of course, having your wedding here gives you access to delicious wine and brews for your guests. Suite One Eleven prides itself on offering a flexible space that works well for a range of events. 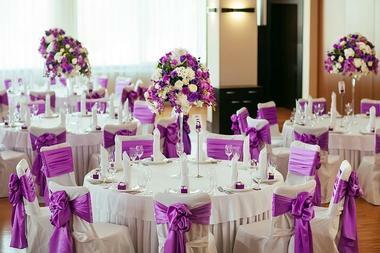 It has a luxurious and elegant reception hall with space for 350 seated guests or 400 for a cocktail hour. The team helps with planning as well as coordination, so everything goes off without a hitch. They also work with trusted vendors to save you the hassle of having to weed through a long list of options. Packages are completely customizable but usually include professional bar services, tables, table cloths, Chiavari-style chairs, an integrated sound system, event supervision, cater-in kitchen, wall curtains, and a fully stocked bar. The Talon Room used to be known as Spaghetti Works and sits in downtown Lincoln, so you and your guests have easy access to this wedding venue. The Talon staff help with every detail while the venue’s local vendor partnerships make planning a breeze. Wedding rentals include setting up and tearing down of tables and chairs, a full-day rental of the space, linens, and fees for both cleaning and bartenders. You can also opt for a catered wedding via the Talon Room’s partnership with ChefauChef Catering, which adds in a dinner buffet with a 150-person minimum. The venue also has an extensive drink menu for your wedding. The Fountains Ballroom and Vineyard actually includes two venues, the first of which is in Glenwood, Iowa, and the second, The Fountains West, which is in Omaha, Nebraska. This venue sits in the heart of Omaha for easy access and used to be known as Erin Court. 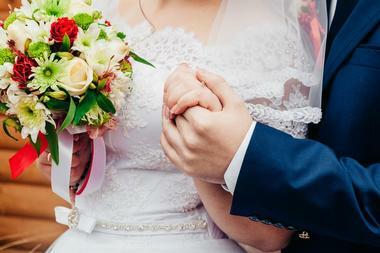 The Fountains West will deliver a stress-free wedding filled with pampering for the bride and groom. They have wedding planners with experience and their own team of experts plus a range of services such as photography and DJs or floral and design. The space has vaulted ceilings with soft fabric and lights, a built-in bar with plenty of beverage choices, a DJ booth, and an iron-railed balcony. The Lincoln Marriott Cornhusker Hotel has 29 total event rooms with a maximum of 22 breakout rooms for the ability to invite as many as 1,100 people to your wedding. The grand ballroom fits this number of guests in its 10,545-square-foot space. Enjoy the state-of-the-art sound system. Your guests are able to stay right on site, as can you in one of the romantic suites. 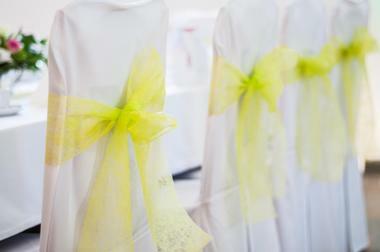 There are a range of wedding tools, such as group lists and rooming lists. You can also choose your wedding menu from a range of delicious options and packages that include services like cake cutting, overnight accommodations for the newlyweds, photos on the grand staircase, and more. The Living Room provides a wedding venue with industrial brick, clerestory windows, and exposed ceiling timbers to set the mood. The space covers 3,500 square feet and is flexible enough to handle your ceremony, reception, and a dance floor. Fit as many as 225 seated at tables or 450 just in chairs. Wedding parties also get access to the kitchen with its commercial fridge, a parking lot with space for 300 cars, gorgeous natural light, top-of-the-line AV equipment, remote-controlled shades, a custom sign, and your choice of round, rectangular, and/or cocktail tables. There is also a landscaped outdoor area, so you can have some events inside and some outside. 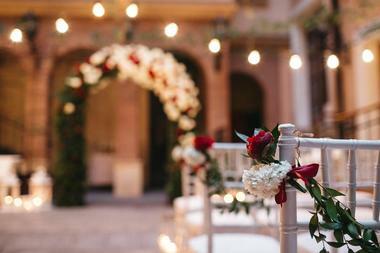 In addition to hosting a range of shows, the Rococo Theatre also gladly hosts special events such as weddings. The theater delivers a magical backdrop for your special day, particularly if the bride and groom have a love for theater. You can have both your ceremony and reception on site for convenience. 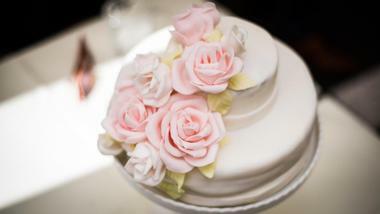 There is also the choice of three caterers who work on the premises. The Rococo Theatre also provides bar service and you can book your own DJ or band. There is enough space in this facility for 500 seated guests, allowing for weddings of nearly any size at the venue. The Scoular Ballroom can fit a recommended seating capacity of 300 guests in its 5,200 square foot space. There is more than enough room for both the ceremony and reception in this venue with soft chandelier lights, custom up-lights, and an atrium with Italian marble and glass. There are four corner loges plus a 28-foot balcony, 30-foot ceilings, and a professional-quality dance floor. Get ready in the luxurious dressing suites and enjoy wireless internet. 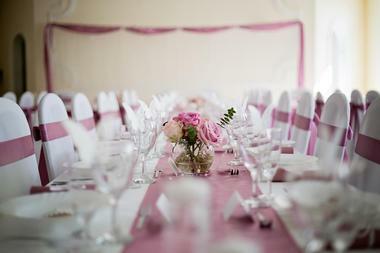 The property also has a separate banquet room ideal for extra sitting or for a cocktail area or setting up a buffet. 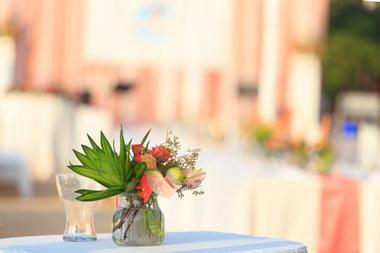 For convenience, there is an on-site event coordinator and unlimited meetings with the professional event staff. Part of the Nebraska Alumni Association, the Wick Alumni Center has 30,000 square feet with a contemporary design over three stories. 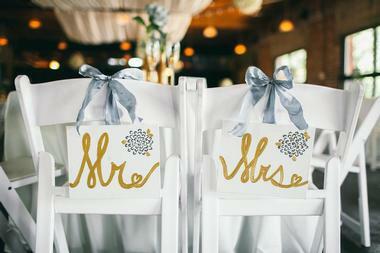 As a wedding space, there is room for 275 guests. You will be drawn to the two dramatic staircases, the Pascale Great Hall with its vaulted ceilings, and the magnificent windows. All of these architectural features allow for eye-catching wedding photos and your choice of backdrops for your wedding ceremony. In addition to the great hall, there are four more rooms to choose from and your choice of five caterers. All rentals include audiovisual equipment, a dance floor, standard centerpieces, and an on-site event manager.